Climate change, integral ecology, ecological conversion, the green economy. Writings by FANE members and friends of FANE, on a variety of issues and topics. 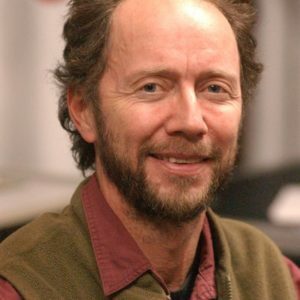 How do you change the way the world thinks and acts? By breaking down barriers, between disciplines, between academics and the general public, between communities, between human beings and nature. 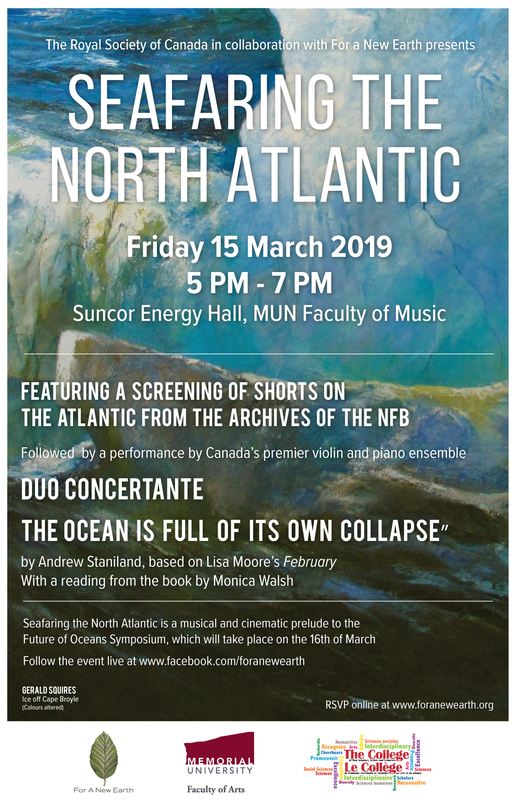 For a New Earth is a Newfoundland and Labrador based initiative that mobilizes philosophy, science, and art for the sake of awakening care for our common home. 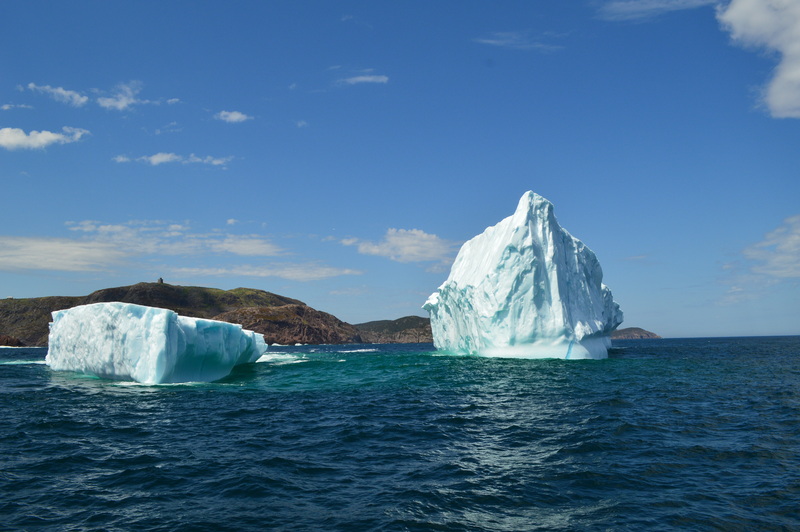 We stage ecological interventions across the province of Newfoundland and Labrador. 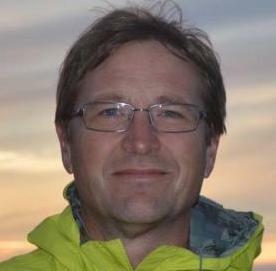 Dr. Sean McGrath is Associate Professor of Philosophy, Memorial University. 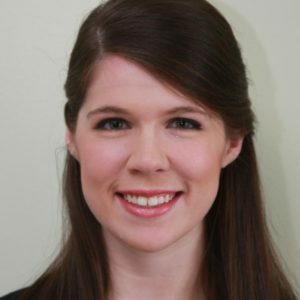 Kyla Bruff is a PhD Candidate in Philosophy at Memorial University. 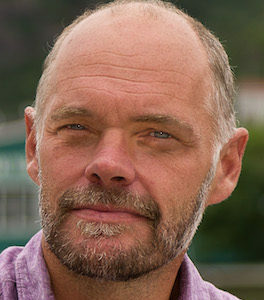 Dr. Barry Stephenson is Associate Professor of Religious Studies, Memorial University. 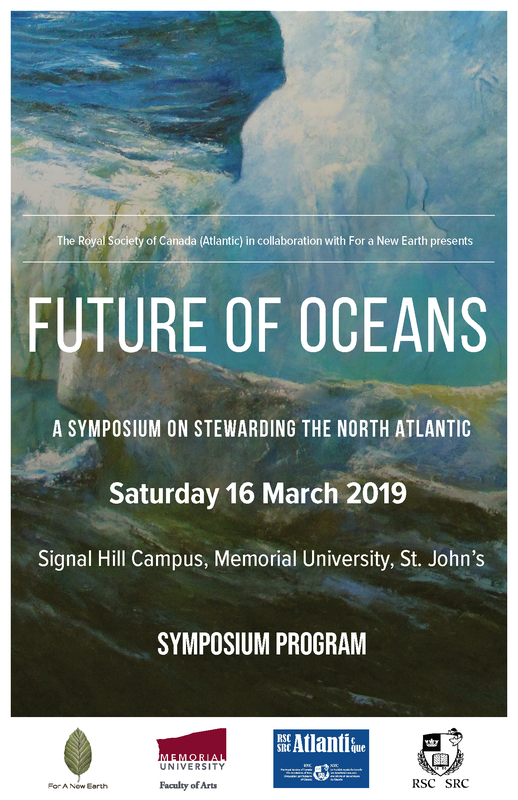 FANE co-director Sean McGrath, on VOCM (Monday, March 4), discussing the Oceans Symposium. 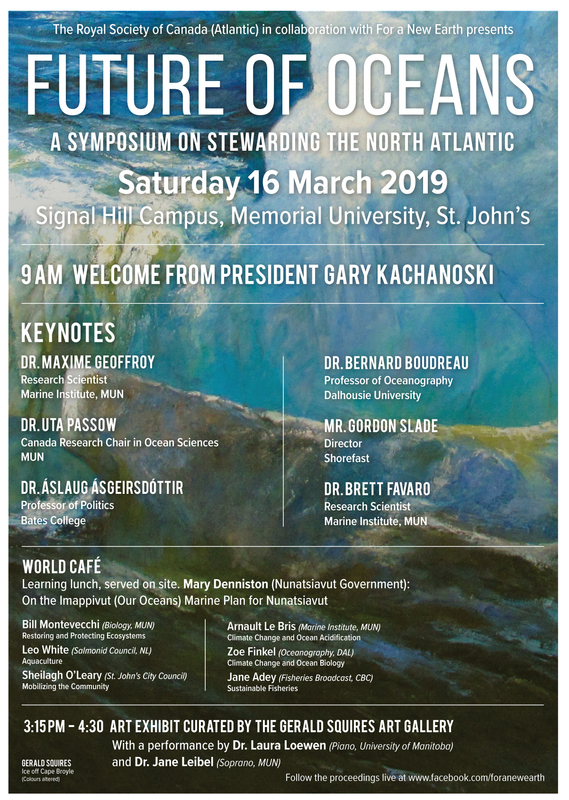 For a New Earth will be live streaming Seafaring the North Atlantic (Friday, March 15 at 5pm) and Future of Oceans (Saturday, March 16, 9am). Wasteland, a film by Lucy Walker Innovation Hall, MUN Campus Wednesday, October 17, 7 p.m.